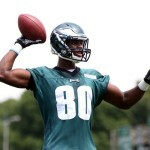 Eagles training camp is underway and here are some guys who could make an impact. The Eagles enjoyed an off-day Tuesday, probably not the worst idea as the sting of two season-ending ACL tears (Jeremy Maclin, Jason Phillips) ripped through camp in a three-day span. Most of the conversation Monday was about Donovan McNabb’s retirement ceremony. Check Jabroni Mike’s coverage from an emotional day at the NovaCare Complex. » Zach Ertz: We’ve already come clean and declared an early man-crush on the rookie tight end. Ertz is running with the first-team offense in some packages and Kelly has a boatload of two tight-end sets (maybe even three) in his arsenal. Ertz is an impressive specimen, standing at 6-foot-5, weighing 250 pounds and possessing soft hands. He’s going to play. Very early guess on my tight-end depth chart: 1. James Casey, 2. Zach Ertz, 3. Brent Celek. Momah has the size to make a real impact. » Ifeanyi Momah: This kid is as raw as they come, but so was Harold Carmichael when he arrived in Philadelphia. He hasn’t played in a game since September 2011, so he’s going to have to put in work to make the final cut. Momah knows it, too. He’s being staying after practice to correct mistakes and work on his footwork. 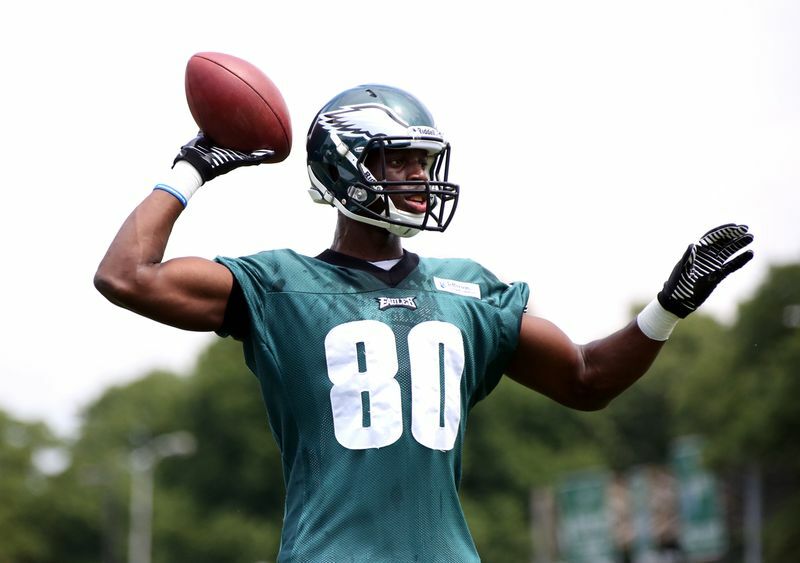 Standing at 6-foot-7, he has the most upside of any player on the Eagles’ roster. The injury to Jeremy Maclin — sad as it was — means there’s an extra roster spot for somebody like Momah. » Casey Matthews: Don’t laugh. The linebacker who infamously crashed and burned as a rookie starter two years ago is starting from scratch. More importantly, he’s been reunited with two of his college coaches at Oregon, head coach Chip Kelly and defensive line coach Jerry Azzinaro. Matthews thrived with the Ducks and if anyone can draw it out of the third-year pro it has to be them. Matthews was seen running a few plays with the first-team defense this past Sunday. » Bryce Brown: Yes, we all know LeSean McCoy is the feature back. Shady might rack up 2,000 yards if this offense lives up to its huge expectations. However, keep an eye on Brown. Kelly will find a way to get the bigger, more physical Brown carries. The main issue here has been protecting the football, but that’s a fixable problem. Brown would also be wise to embrace his strength as a north-south runner, instead of trying to bounce runs to the outside. » Jason Peters: No player is more crucial to the success of the Eagles than the starting left tackle. There’s a very good reason why Donovan McNabb referred to him as Jason “Franchise” Peters in his retirement press conference. Peters, a five-time Pro Bowl selection, has looked healthy early in camp after twice rupturing his Achilles tendon in 2012. In addition to protecting the quarterback’s blind side — unless lefty Mike Vick wins the job — Peters is instrumental in run-blocking, especially on the left side. Without Peters, LeSean McCoy’s numbers were down almost two yards per carry there.